Fabled Fortress of Al-Danah build. Let’s get to it! *Note: These carpets are not capable of actually flying, and under no circumstances should one use them to attempt flight. All appearances of flying are illusions. Failure to heed these warnings could result in serious injury or brick separation. The basic idea for these carpets is based off of Jaapxaap’s roof design, which centers around the use of nets. 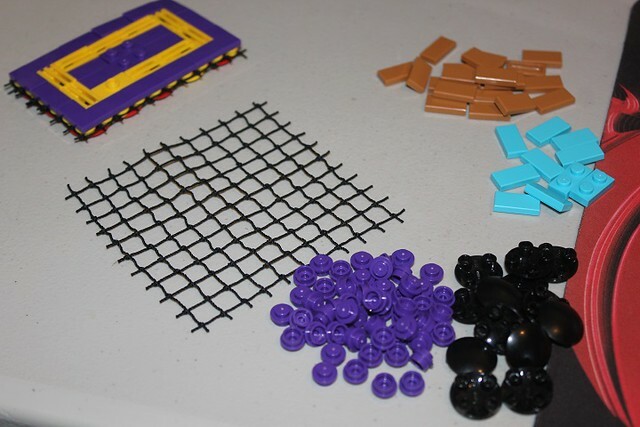 To make the carpet, you will need a 10x10 net, 1x1 round plates, 2x2 round boat tiles, and 1x2 tiles. 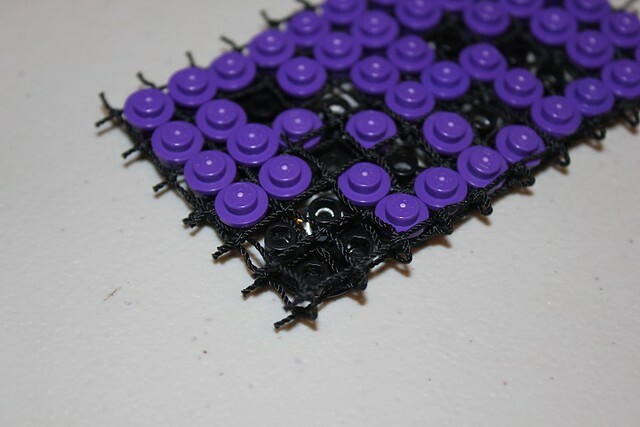 To achieve the desired width, fold 4 studs of the net over on itself, to form a 6x10 rectangle. 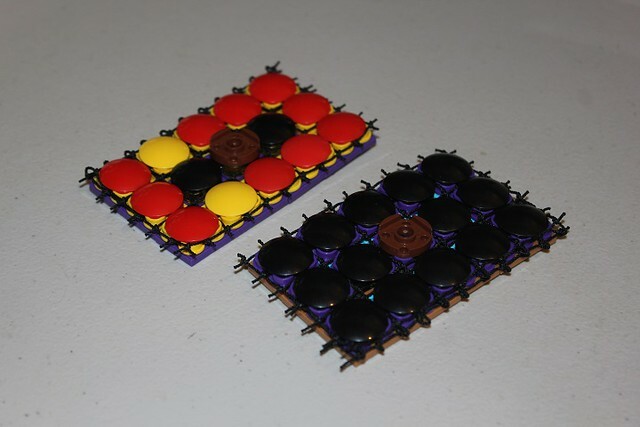 Then attach the 2x2 round boat tiles to the bottom of the net, using 1x1 round plates on top to connect them. I personally like to leave a few studs without the 1x1 plate rounds, as it allows the carpet to have greater flexibility. Don’t leave to many open spots though, or you won’t be able to attach the 1x2 tiles on top! 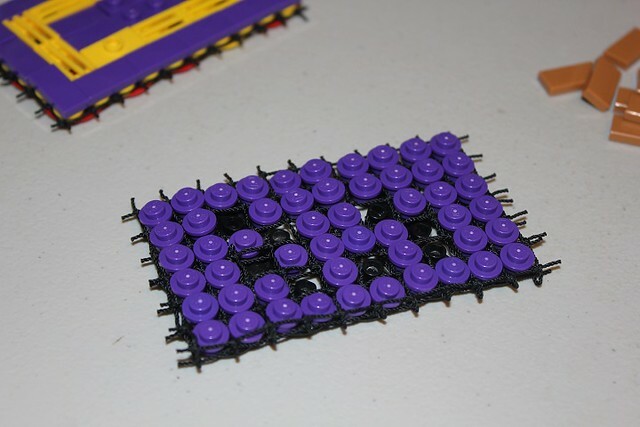 The final step is simply putting 1x2 tiles in whatever colors you like on top of the 1x1 round plates. I chose to use two colors on each of mine, but you could incorporate more, or stick with just one color, if desired. 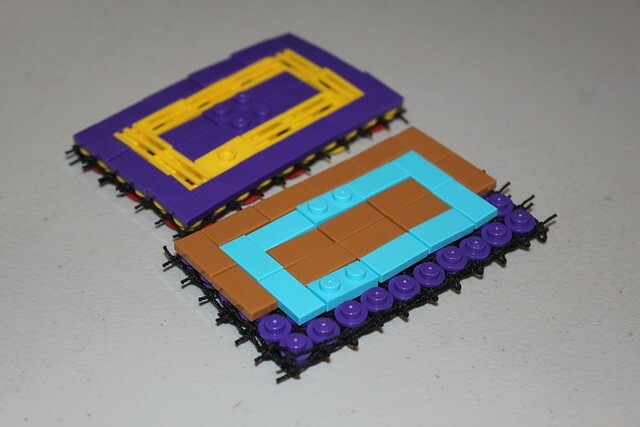 Make sure to incorporate a few 1x2 plates or jumper plates if you want to be able to attach minifigures or accessories to the carpets. And a look at what the bottom looks like finished. The 2x2 round plates in the center make a handy way to attach the carpets however you want for your specific build. A genie goes well with any flying carpet! Here’s an example of just some of the various things you can put on the carpets when you’re finished with them. We hope this tutorial meets all your flying carpet needs, and be sure to let us know if there are other designs you would like to see a tutorial on in the comments!